From a small collection of fishing villages 40 years ago to a metropolis on track for a global milestone, Shenzhen has come further, faster than most cities. Already home to the largest fleet of electric buses in the world – roughly 14,500 at the end of May – the city is expected to electrify 100 percent of its public transit bus fleet by the end of 2017. If successful, it will become the first in the world to do so. 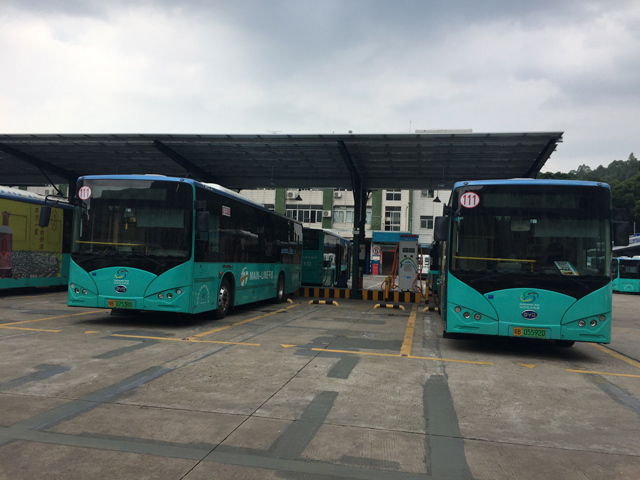 Shenzhen’s electric bus fleet is composed of 10 to 12-meter local buses (left) and 8-meter buses (right), which run as connecting shuttles or provide suburban services. Photo by Anqi Zhao. Drivers waiting for buses to charge. Photo by Xiangyi Li. The Shenzhen Bus Group depot we visited can house around 20 buses at the same time. They are parked underneath overhangs equipped with solar panels and shared charging facilities. While the solar panels provide electricity to power depot lighting, there isn’t actually enough capacity to recharge buses, a goal that will require more innovation. In Marrakech, a GEF and UNDP supported one megawatt solar farm contributes to charging a small number of vehicles in the city’s bus rapid transit fleet, but the amount of solar panels needed per bus makes scaling difficult currently . Buses park under overhangs with solar panels. Photo by Xiangyi Li. Beyond reducing air pollution, Shenzhen’s buses are a crucial part of the city’s – and the nation’s – efforts to reduce carbon emissions. 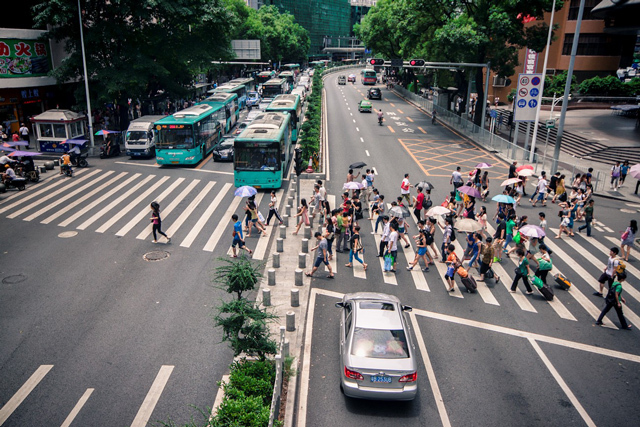 China’s Nationally Determined Contributions to the Paris Agreement prioritize public transport and encourage the development and adoption of new energy vehicles. 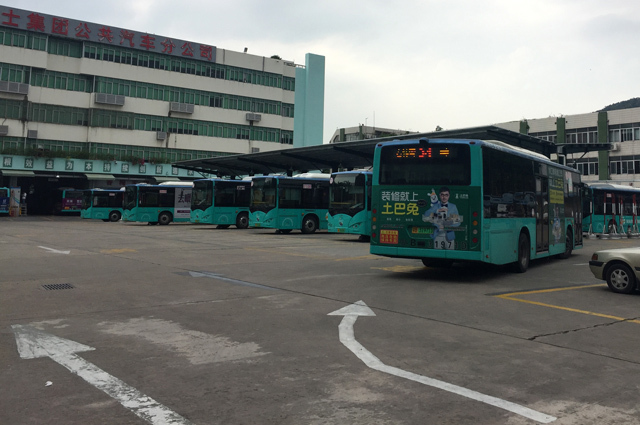 The public transit buses in Shenzhen account for only 0.5 percent of the city’s vehicle stock, but , according to the Transport Commission of Shenzhen Municipality. 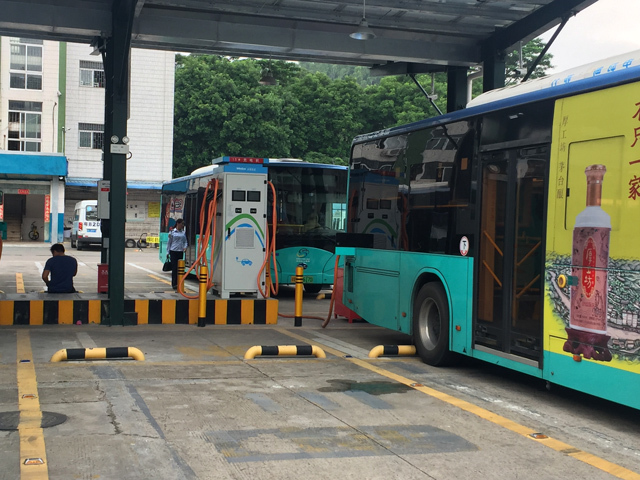 Despite the fact that coal power plants still account for 66 percent of electricity generation in China, local researchers estimate Shenzhen’s electric buses can reduce 48 percent of CO2 emissions, compared to diesel buses, and up to 100 percent of other local pollutants. Gains could be even greater with a different energy mix. 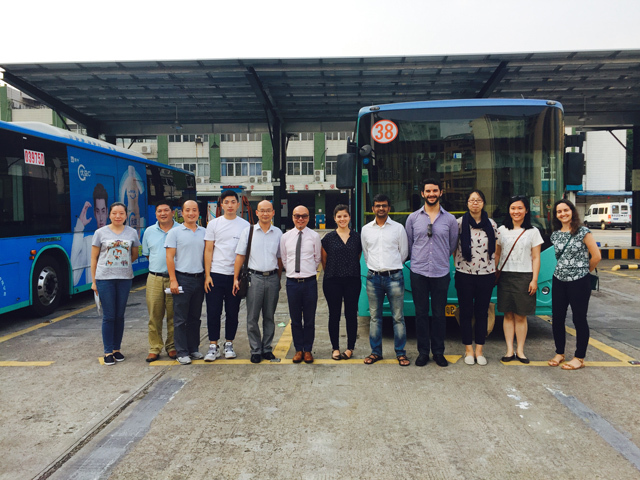 The WRI Ross Center vehicle efficiency team and our hosts at the Shenzhen Bus Group. Photo by Lu Lu. Shenzhen is likely to be the first city to pass the 100 percent electrification milestone – but it won’t be the last. We would like to especially thank the WRI China team for their efforts arranging this visit. Sebastian Castellanos is an Associate with the Ross Center for Sustainable Cities where he leads the low carbon transport offer.